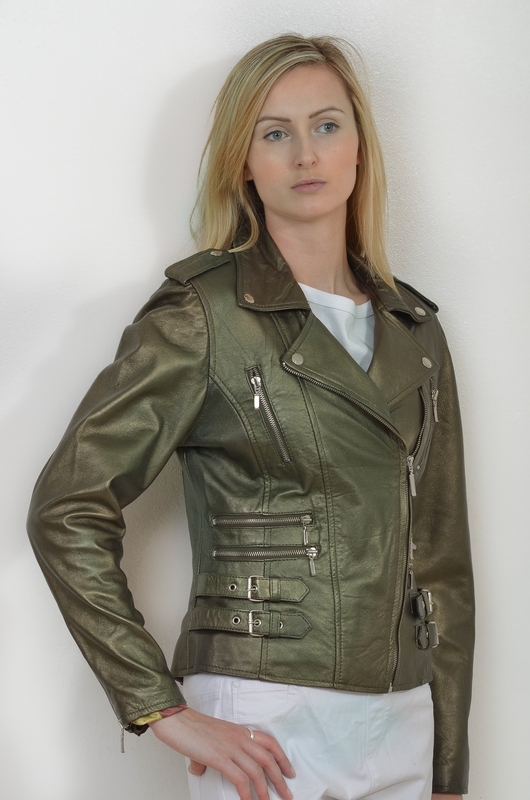 Outstanding quality extra soft fitted slimline metallic Antique Gold shade designer style Leather Biker jacket. Double leather hip straps with metal buckles, a diagonal metal zip to fasten the body, metal studs on the collar and rever, leather epaulettes with metal studs on the shoulders, metal zips at the wrists. Six outer pockets all with metal zips plus an internal mobile phone pocket edged with leather. Lovely red/gold and other mixed colour abstract flower effect Poly/Satin lining .